As soon as the first strains of this song begin, and Debbie’s utterly unique voice starts to cut through the pleasing slide guitar, I was immediately drawn in. Debbie’s voice is, in fact, so unique that it seems she could sing in nearly any genre - in other words, while her vocals are strong, they don’t have that affected twang or nasally tone that generally puts me off of modern country music. Instead, what you get when you hear Debbie sing is a rich, vibrant tone that’s full of life. It’s husky but polished, and that’s a rare and distinctive sound. 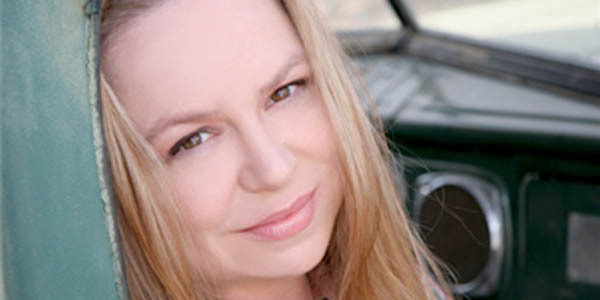 While Debbie’s voice seems to sit somewhere in the middle of country, blues and pop, the song “Sugar and Rain” definitely has a classic country feel and arrangement. By the time the chorus comes in, it already felt familiar, which is what the best country songs do. They tell a story. Here, Debbie (along with fellow songwriters Courtney Leigh Heinz and Jeffery Marshall) explores the relationship dynamic that develops over time, creating a brand new version of the “I don’t know where you end and I begin” theme. What the lyrics here do so well is evoke that struggle of maintaining individuality while establishing a balance and identity with your other half. The “yin and yang” that Debbie sings about. If you’re looking for twang and formulaic country songs, flip on CMT. If you’re seeking out something different, then open your ears up to the soulful voice of Debbie Hennessey. What a great review of Debbie Hennessey’s music! I’ve been a fan of hers for many years.